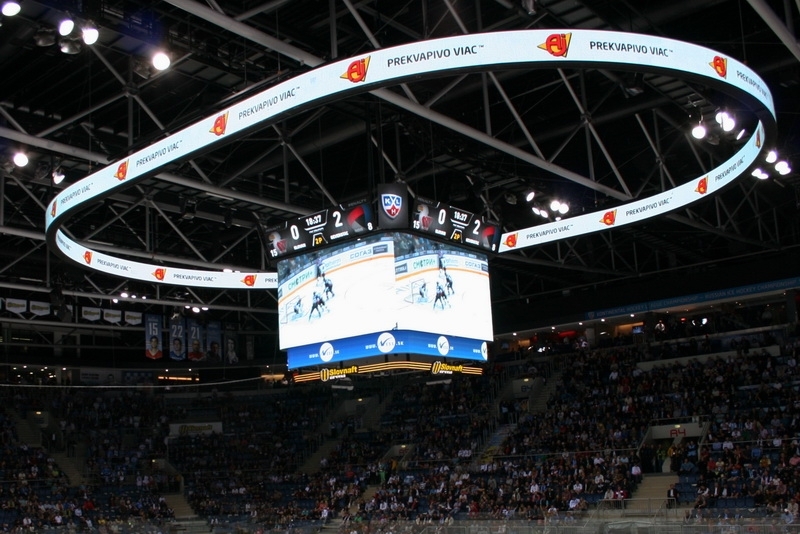 Colosseo’s HD Video Cube and IPTV system at the Slovnaft Arena has received our most impressive new technology upgrades. The new, larger scoreboard is astounding and VIPs marvel at our latest IPTV technology installed in the VIP lounges. 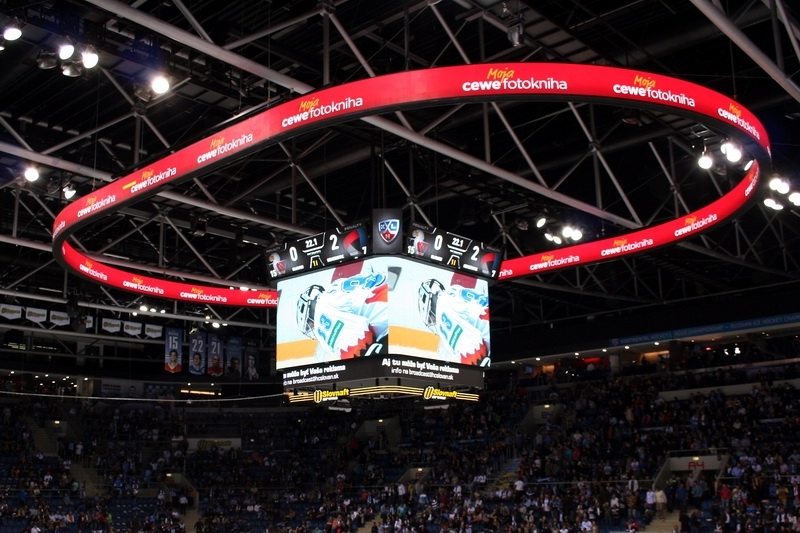 The Colosseo HD Video Cube now boasts one of the most advanced multimedia displays worldwide! We added more multimedia space underneath the four main LED screens and fully integrated them with the Colosseo Director 24HD to provide unparalleled infotainment and live game content. 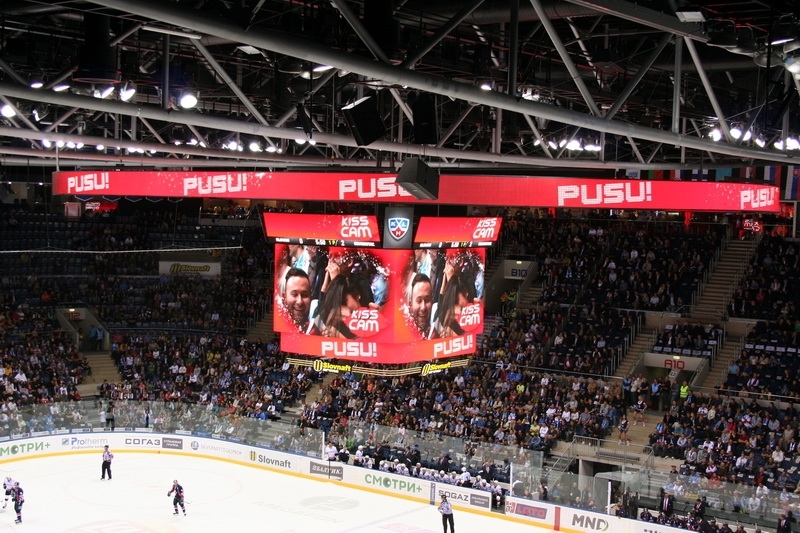 The extra space is used to display more statistics, replays and advertising while presenting fans exceptional infotainment during game action. 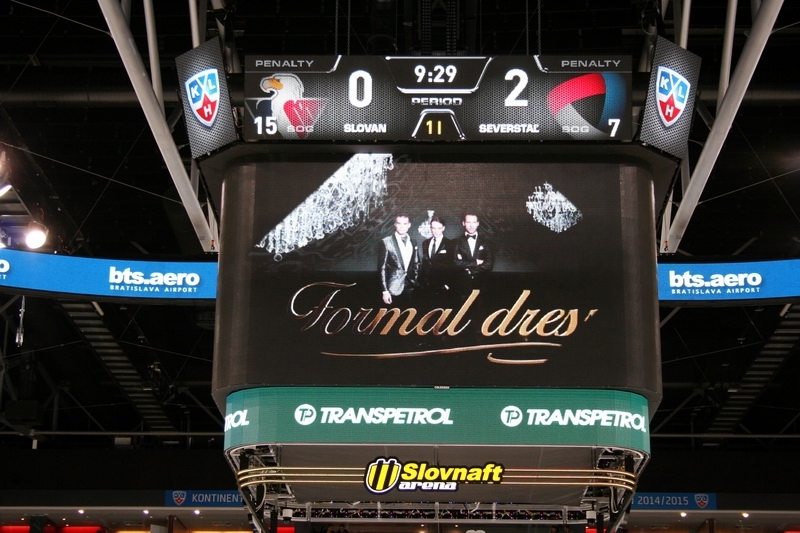 Slovnaft Arena is also the first arena in Europe where we have installed our latest version of interactive IPTVs in VIP lounges that bring even more graphics, highlights, statistics, scores and video replays from any camera in the stadium by using a remote control. 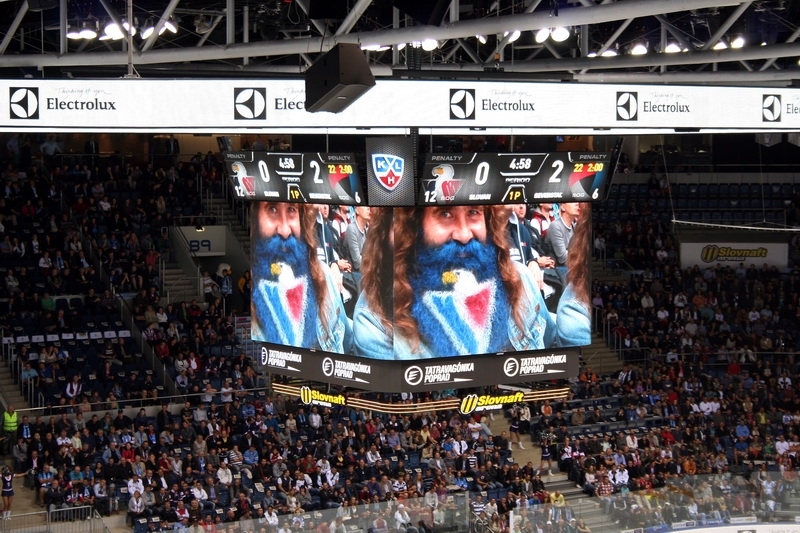 HC Slovan Bratislava and Colosseo, partners since 2011, have made Slovnaft arena the place to watch a KHL hockey game during the 2014/2015 KHL ice hockey season. From Colosseo, the next level of media integration, interactivity and infotainment for stadiums and arenas has arrived!